The winter programme has fortnightly walks plus an extra one at Christmas. The majority are on Sundays, with 2 Saturdays and 2 on Bank Holidays. All start at 1:30pm. 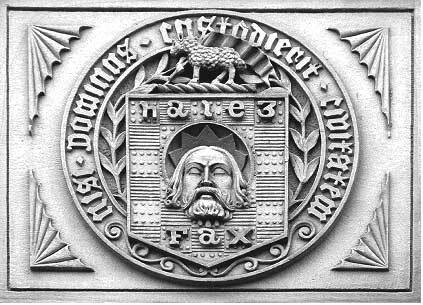 A look at the rich and varied heritage of west central Halifax, including People’s Park, the Workhouse, the Hanson Lane Bomb site, West Hill Park Model Village, and many Crossley connections. Hear about the tragic deaths of Mary Hackett and Emily Pye, view the location of a fatal boiler explosion, and see one of Mackintosh’s early warehouses. Finally – the story of The Gibbet. Duration: just over two hours. 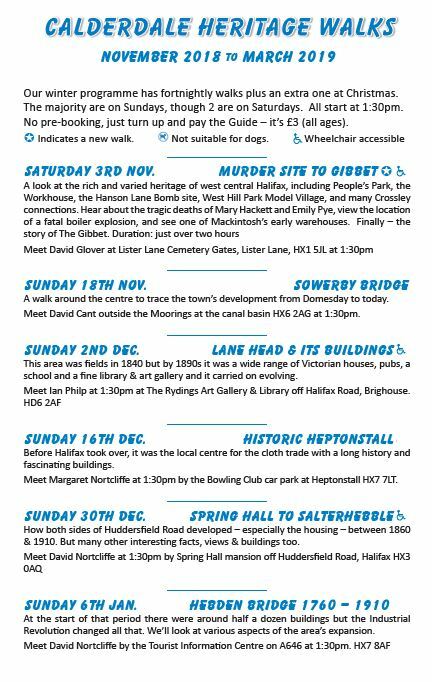 The complete Winter Walks Programme as shown below can be downloaded here. 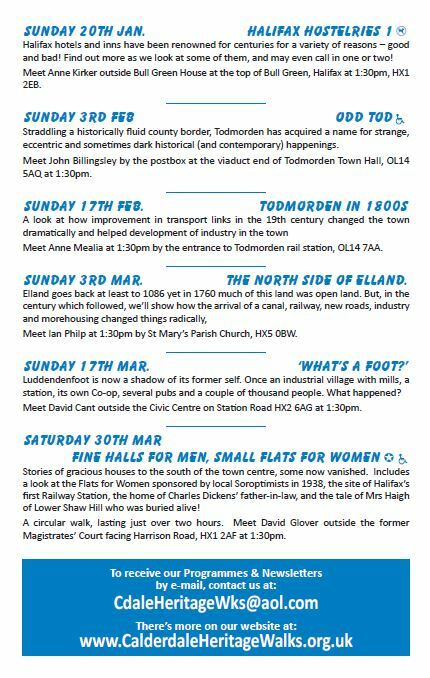 This entry was posted in Dec, Events, Feb, Health, Jan, Mar, Nov and tagged Calderdale Heritage Walks.